This wine is made from Verdelho grapes that have been left to ripen on the vine for a longer period to achieve a higher concentration of sugar. The grapes are hand harvested, crushed and pressed. The Verdelho juice is then fortified with brandy and SVR spirit and is transferred to old French oak barrels in our Solera for up to 12 years. The Solera is located in our historic ‘old cellar’ which is not air conditioned and the warmer ambient conditions allow the wine to concentrate in flavour and in sugar. We periodically draw wine off this Solera to be bottled. 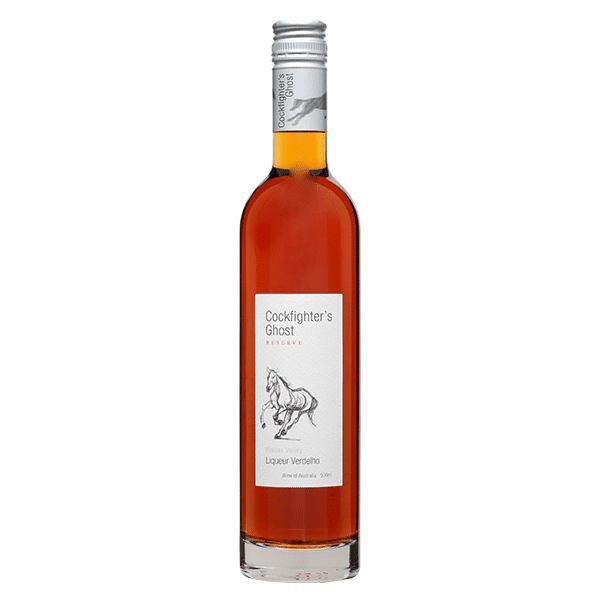 This wine is blended from different Vintages of fortified Verdelho from our Cockfighters Ghost vineyard in Broke in the Hunter Valley. Made to reflect a style that’s rich in flavour, concentrated and complex whilst retaining freshness. Orange marmalade and citrus aromas with a slight toffee and nutty character. The palate is luscious and mouthfilling with toffee and butterscotch flavours complemented by a subtle nutty, brioche note. The complex and flavoursome palate is balanced by a long acid line.